Nice to see Lupin the Third and Rei of breath of fire 3 get some love. 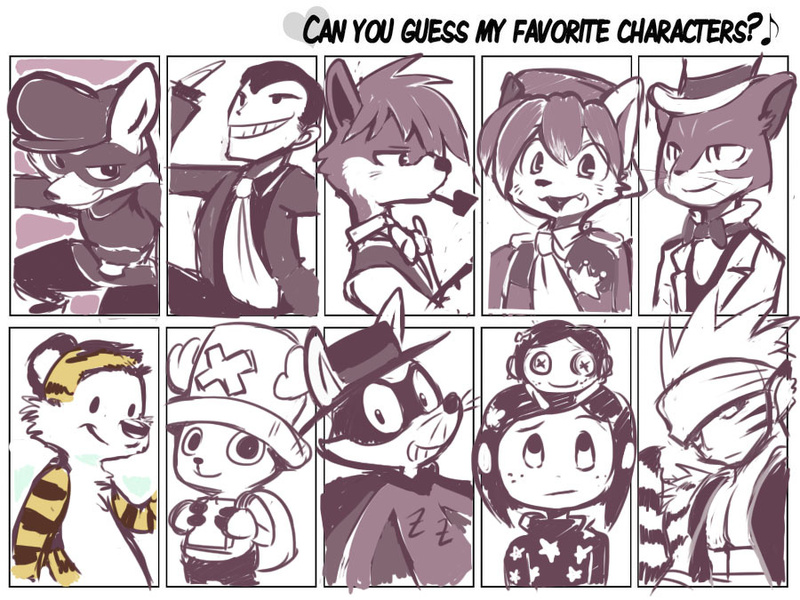 Sly Cooper, Lupin the 3rd, dunno, dunno, Baron Humbert von whatshisbucket from The Cat Returns, Hobbes, that dude from One Piece, Zorori, Coraline, Naruto. While Rei's is in BOF4 as a master, hes actually one of the main characters in BOF3. I'm particularly fond of Sly and Chopper, myself. I recognized everyone except the fellow on the bottom right.